Depart the Las Vegas Valley for a tour of the Pahrump Valley Winery, one of Nevada's best secrets. Located just short 50 miles drive West of Las Vegas. Depart the Las Vegas Valley for a tour of the Pahrump Valley Winery, one of Nevada's best secrets. Located just short 50 miles drive West of Las Vegas. 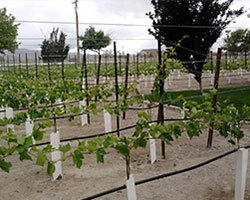 The Pahrump Valley Winery has received national wine awards since 2004. Enjoy award-winning wines in the tasting room, roam through the tranquil rose garden with its gazebo and take in the Spring Mountains backdrop. Dining at Symphony's, wineries upscale-casual restaurant is an exquisite experience. Visit the gift shop to purchase your favorite wine. The Las Vegas Wine Tour service includes pick up and drop off services to and from your hotel or home. Relax and leave the driving to our chauffeurs. Enjoy the spectacular views of Spring Mountain and Red Rock Canyon while traveling to the Pahrump Valley. Spoil yourself in the award winning wines without worrying about the drive back to your hotel or home. 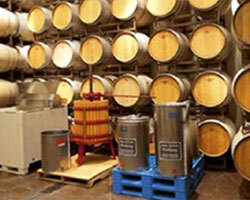 Lavish yourself with our Pahrump Valley Wine Tour it will be an unbelievable time. 10:00 am departure, arriving @ 11:30 for Winery Tour and Wine tasting, followed by lunch returning to Las Vegas by 3:00pm. 12:00 pm departure, arriving @ 1:30pm for Lunch followed by Winery Tour and Wine Tasting returning to Las Vegas by 5:00pm. 2:00pm departure, arrive @ 3:30pm for Winery Tour and Wine tasting, followed by dinner returning to Las Vegas by 7:00pm. Tours NOT available on Christmas Eve, Christmas Day and New Years Day. Note: This tour has a maximum 5 hours in duration starting from your hotel. 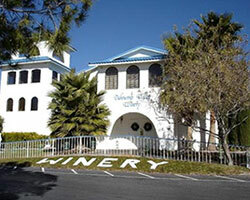 This tour is non-stop to the Pahrump Valley Winery and back. Once at the Pahrump Valley Winery you will have 2 hours to enjoy. There are no additional stops. If more time is needed then we will charge in 30 minute increments. Lunch and dinner costs at Symphony's fine dining restaurant are not included in the tour price. Tour schedules start at 10am. Rates do not include Lunch or Dinner costs.